Understanding Drug-Drugs have become a popular term in the community, but still a few who understand the meaning of drugs. As it means that the drug is short for narcotics, psychotropic and other addictive substances, in the broad sense is a drug, substance or substances. If it gets into the body either orally or inhaled or injected in intravenous drug that will give effect to the brain or central nervous system. Psitropika not sold sold, possessed, stored and used. If unauthorized use is done means people who use it have broken the law. 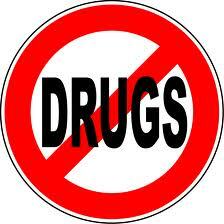 Drugs are addictive, and is considered to be a hazardous material for consumption. Some things you need to know about narcotics, psychotropic and addictive substances, derived from three different materials and have different effects, they also often be disguised trade whose victims are none other than children who do not have knowledge about drugs.